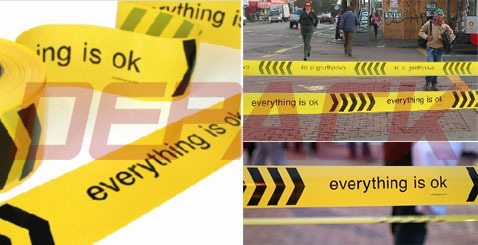 Barricade Tape are printed continuous repeat of message or warning in bold black letters on bright Colorful, non-adhesive tape. -Ued in the field of law enforcement,construction jobsite, safety,painting,work areas, crime scenes and any potentially dangerous areas. -Can be tied, stapled or nailed to posts, fences or metal barricades. by increasing the visibility of hazards. -Lightweight, durable, economical and reusable polyethylene with a continuous repeat of message or warning.